Your parents probably advised you against sucking on lollipops all day. They probably also told you that inhaling the entirety of your trick-or-treating haul in a single night is only going to result in a painful toothache (and an upset stomach). But did you know there are many common foods beyond sugary sweets that could be rotting away at your teeth? Citrus fruits, like oranges and lemons, are very acidic in nature. They can erode enamel and lead to tooth decay. 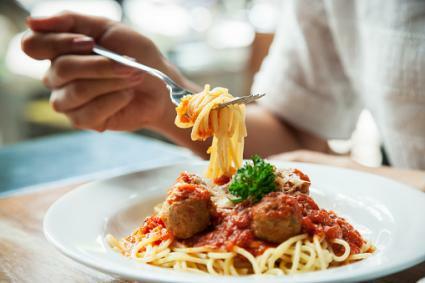 Some people might be surprised to learn that your favorite plate of spaghetti and meatballs could be almost as dangerous for your dental work. Tomatoes are highly acidic too! Can Bones Damage a Dog's Teeth? From pomodoro to marinara, red pasta sauce can make teeth temporarily more porous. Also, tooth enamel can absorb the deep red coloring for some rather unfortunate staining. Salsa, ketchup and other tomato-based sauces can lead to a similarly crimson-hued erosion. How harmful could regular old ice cubes possibly be? They're completely sugar-free and consist of nothing more than frozen water. However, if you develop a habit of chewing ice, it could prove to be remarkably problematic. Munching on ice cubes, ice chips, and ice in other forms can easily crack, chip or otherwise damage your teeth in horrible ways. Maybe you should take a page of Elsa's playbook and just let it go. Let it go. A healthy trail mix with nuts and dried fruit is probably better for your waistline than chowing down on candy bars and potato chips, but it could be almost as bad for your expensive dental work. Dried fruit can be very sticky and chewy in consistency, so it's much more likely that remnants will stick to your teeth. 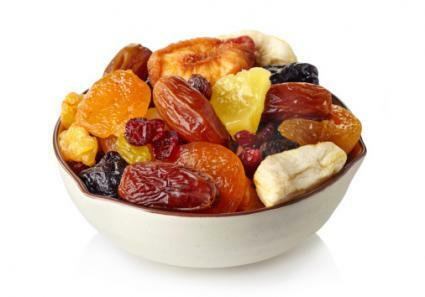 Remember that dried fruit still contains a lot of sugar, even if it's natural, and having those sugars linger in your mouth for a prolonged period of time can really rot away at your chompers. If you're going to snack on raisins, dried apricots, prunes and fruit leather, be sure to rinse thoroughly with plain water. Brushing and flossing frequently are good ideas too. In addition to the dangers of loose lips and impaired motor skills, alcoholic beverages can also exert a very negative effect on your teeth. Alcohol naturally dries out the mouth. Your teeth and gums need to stay well lubricated, and the drier environment makes you more prone to gum disease and gingivitis. 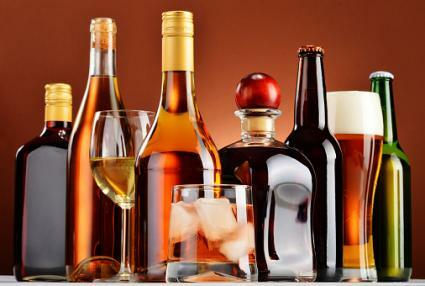 What's more, chronic consumption of alcohol can reduce the overall flow of saliva. White wine is generally more acidic than red wine too. While the latter has been demonized for staining teeth, the former can literally eat away at your pearly whites! 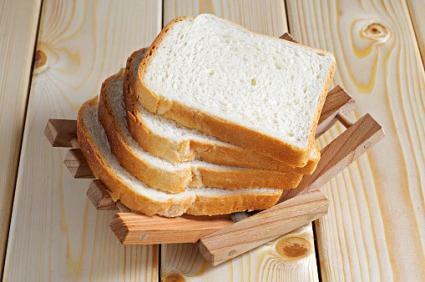 The simple carbohydrates in white bread break down very easily, dissolving into the saliva in your mouth. They swish around, pouring a deluge of acid to melt away at your precious tooth enamel. White bread also gets quite "gummy" and "sticky" in consistency when you chew on it, so small particles can easily get stuck between teeth. This lends itself to more cavities, increased tooth decay, and inflamed gums. An even worse combination? A delicious peanut butter and jelly sandwich on plain white bread can be awfully tempting, but both of those spreads are sugar-laden and extra sticky, further bolstering the siege on your dental health. Your dentist will be quick to point out that you should be brushing and flossing regularly. That'll help to remove the bacteria that would form plaque and could lead to gum disease. By watching the foods that you eat, you can also help to protect that vulnerable enamel too. Oral health has been linked to all sorts of other things, including heart disease, so it's not just about having an Instagram-worthy smile. It's about hanging around long enough to post pictures on the next big social media fad too.